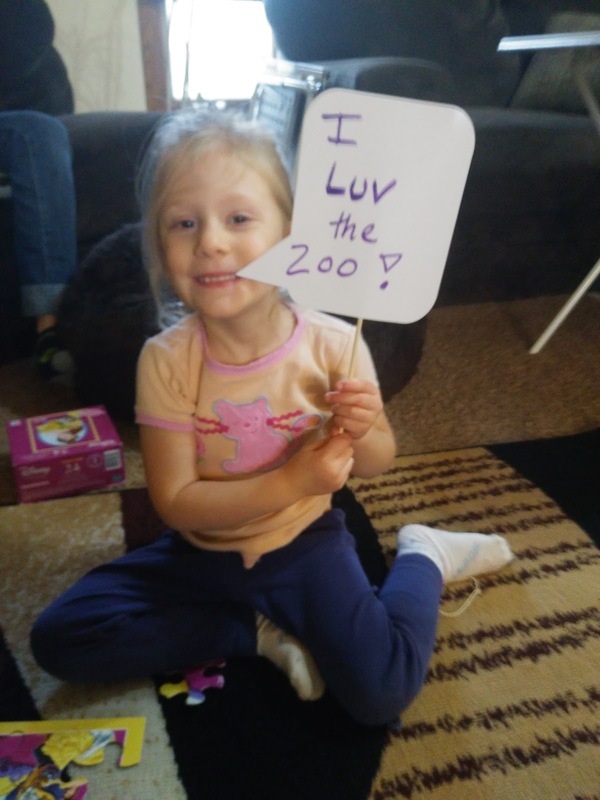 I am sharing this review as part of a sponsorship with Luvs. It's not every day that I get to get together with my friends and family and celebrate What We LOVE and give out fun goodie bags to each person to take home! But I got to do exactly this lately thanks to Luvs! My guests LOVED the Luvs Ultra Leakguards with NightLock Plus™ and we had so much fun talking about what we love and taking home goodie bags! It was so fun to set up for our party and decorate with Luvs signature purple, green and blue! 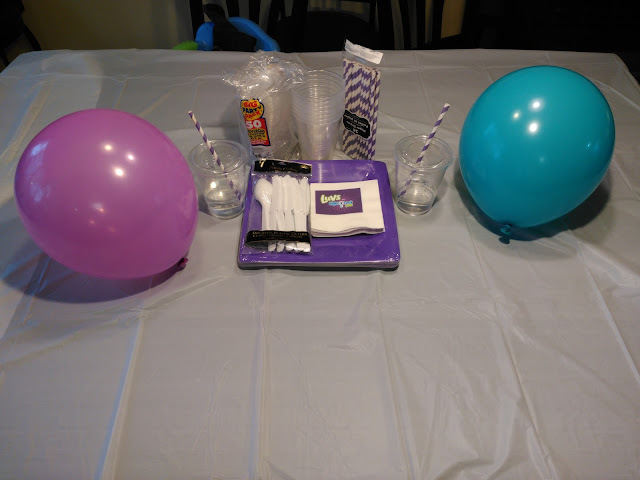 Once the party was set up, we just had to wait for the guests to arrive! And once they did, we talked about Luvs and all their great benefits! 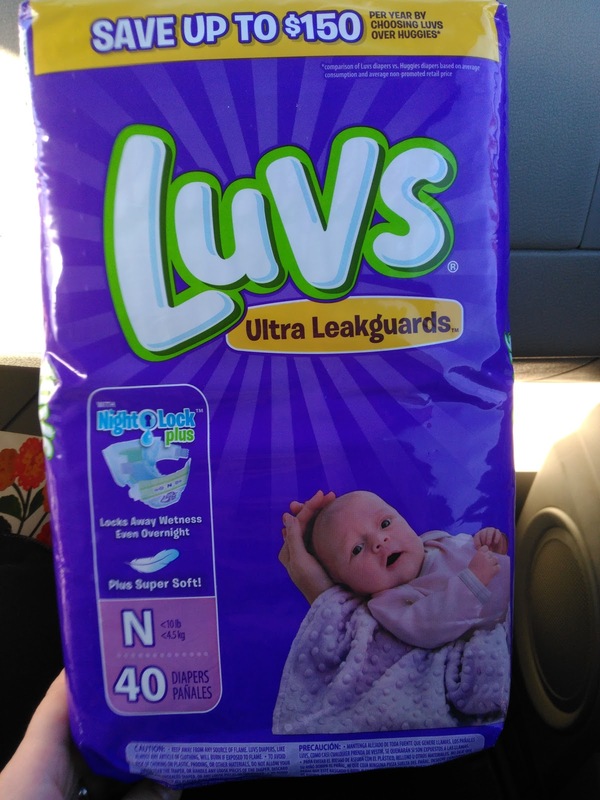 Softer and more absorbent than ever before, with large stretch tabs for easy fastening, ultra-leakage protection and a money-back guarantee, new Luvs Ultra Leakguards with NightLock Plus™ provide the high-quality features babies and parents need for less cost than the premium brands. With the large refastenable stretch tabs, fastening Luvs diapers is super easy for Mom, plus she can rest assured knowing that she’s giving baby a secure, snug fit again and again. A contoured shape hugs baby for a great fit and a super soft cottony material – softer than ever before – feels gentle on baby’s skin. 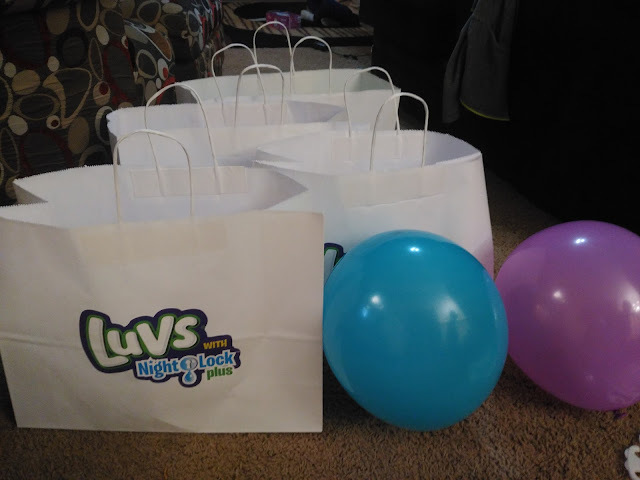 And the best news - each party guest got a pack of Luvs Ultra Leakguards with NightLock Plus in their baby's size plus a branded Luv sippy cup to take home! 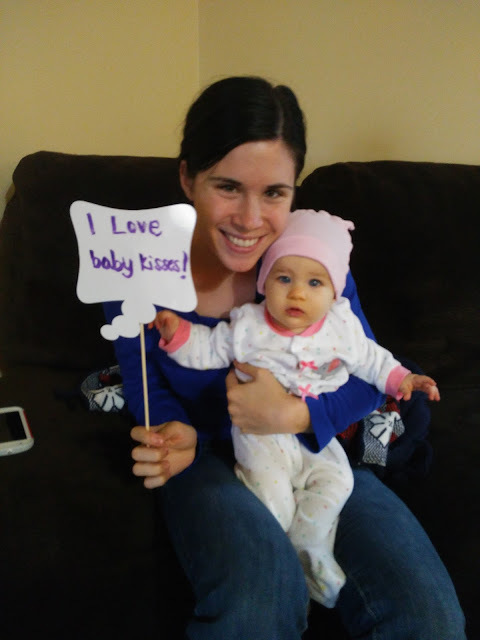 And then the real fun began - we headed to our little photobooth to write what we LUV on speech-bubble dry-erase boards with purple markers! 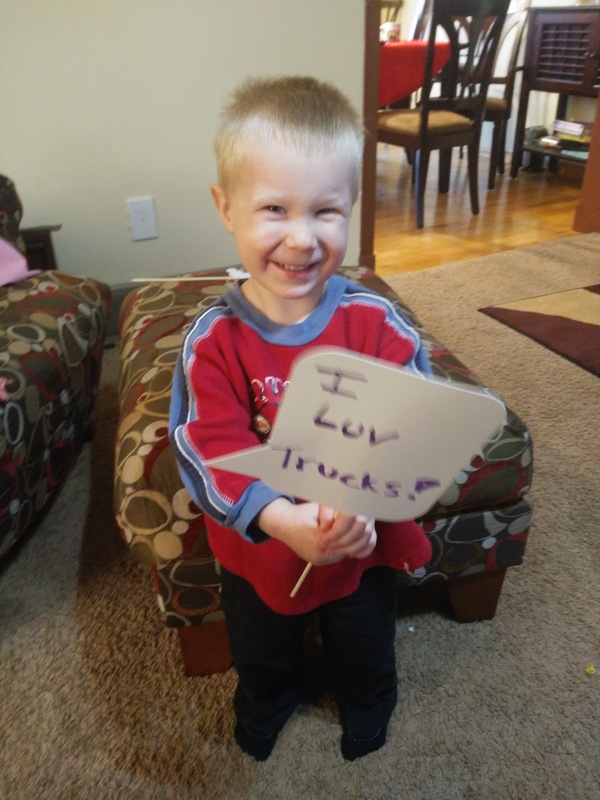 It was so fun to see what my guests and their children "luv"! It started great conversations and created lots of laughs! And DON'T FORGET the best news of all - they offer a Luvs Money Back Guarantee: They feel so strongly about their diapers that they’ve guaranteed them! If you aren’t satisfied with the leakage protection of Luvs, they’ll refund your money. See their website, www.luvsdiapers.com, for details. You can purchase Luvs diapers in sizes newborn through 6, feature fun designs in every pack, and can be found at mass, discount and grocery stores where baby care products are sold.